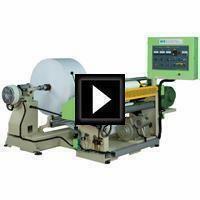 Small Roll Slitter(FSL-D) - HCI Converting Equipment Co., Ltd. 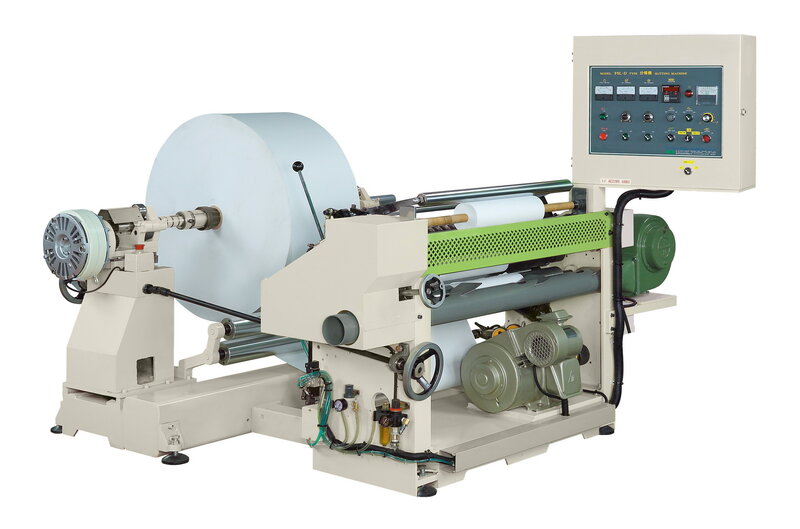 The Small Roll Slitter is ideal for slitting large parent roll into small bobbins such as POS, ATM, cash register, ticket, receipt, thermal paper, fax, lottery, medical report and various paper roll for office use. Lift-up & floating type stand with air shaft. Simplified construction for trouble less. 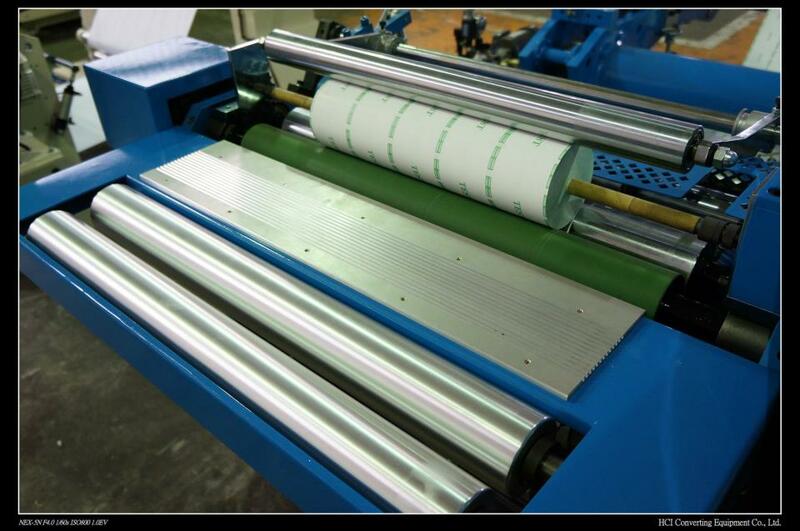 Shear knives cutting method especial for paper slit. Equipped with trim reject fan which can blow the trim out. An exclusive patented magnetic powder type surface rewinding mechanism allowing rewind tension to be easily adjusted according to the material’s characteristics. It also reduces the wear of driving rubber roller. Equipped with meter counter which can stop automatically when preset length reached. End roll warning device, for reminding the user to change the roll when the warning mark appeared. Unwind Core Inner Diameter 3" or 6"
Rewind Core Inner Diameter 1/2" - 3"